Aqua homes condo on Allison Island Miami Beach is a unique condo to invest in – an intimate and imaginative fusion of sensitive design and tropical living in a protected townscape. This recently unveiled private island enclave redefines life on Miami Beach’s legendary Millionaire’s Row. New Urbanists Duany Plater-Zyberk & Company have merged modernist and contemporary architecture and art in a traditional town plan on an 8.5-acre island with a private entrance. 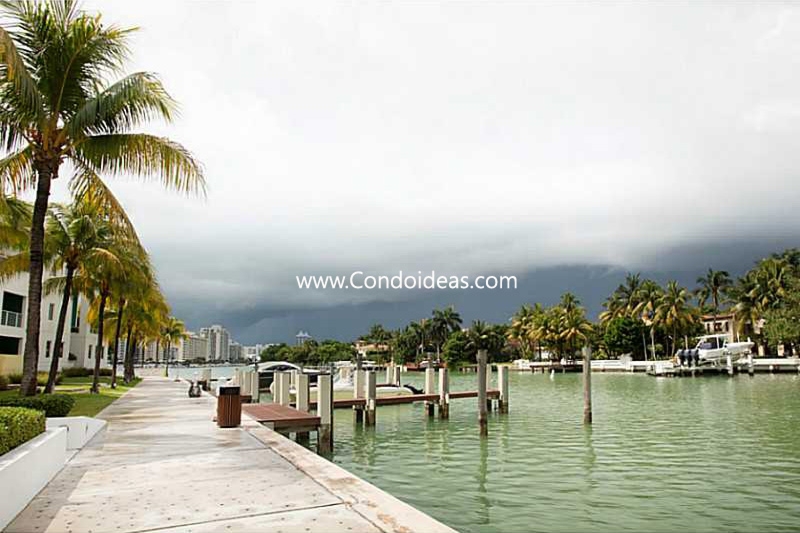 The result is a village that is design-informed, made up of mid-rise loft and condominium residences and exclusive island homes for only 151 families. Pedestrian-oriented, AQUA’s streets encourage walking on a waterside promenade and among a series of small plazas and a central square. Meeting areas are connected by walkways, lanes and avenues that emphasize lush landscaping and tropical plantings. Private docks, manicured gardens and groves of mango and citrus trees are conveniently situated. The exclusive private island features not only the talents of planners and architects but artists who have created unique commissioned works for AQUA. 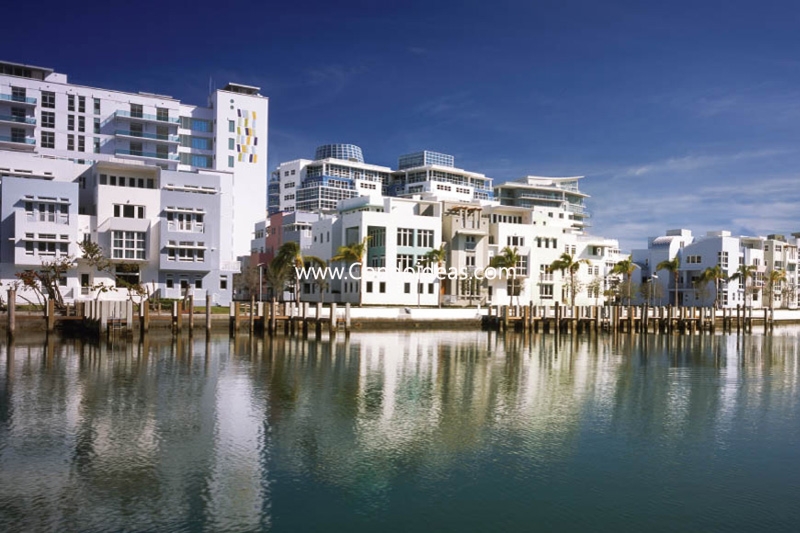 The homes and condos, designed by invitation by ten contemporary architectural firms, utilize the natural ventilation and tropical light of the island setting and take as inspiration the rich architectural traditions of the Miami Beach area and its natural features. 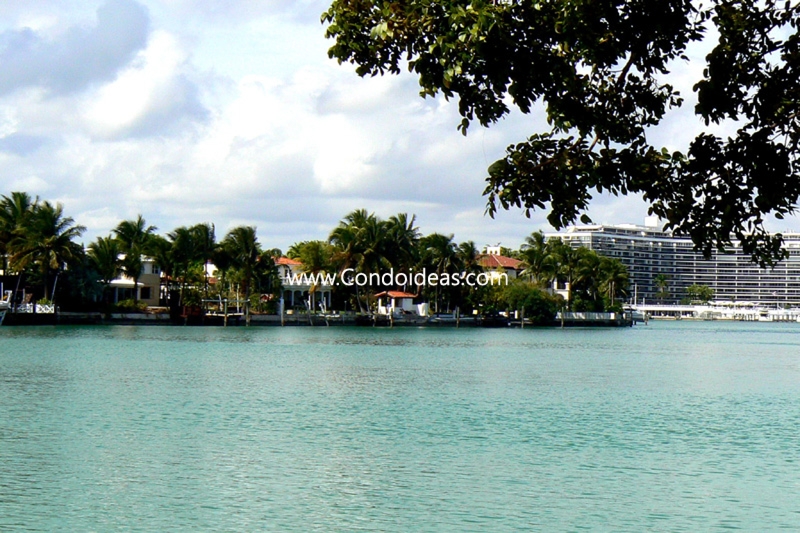 Added to the protected environment is its strolling-distance convenience to La Gorce Golf and Country Club and its short drive to the vibrant South Beach and Bal Harbour communities. 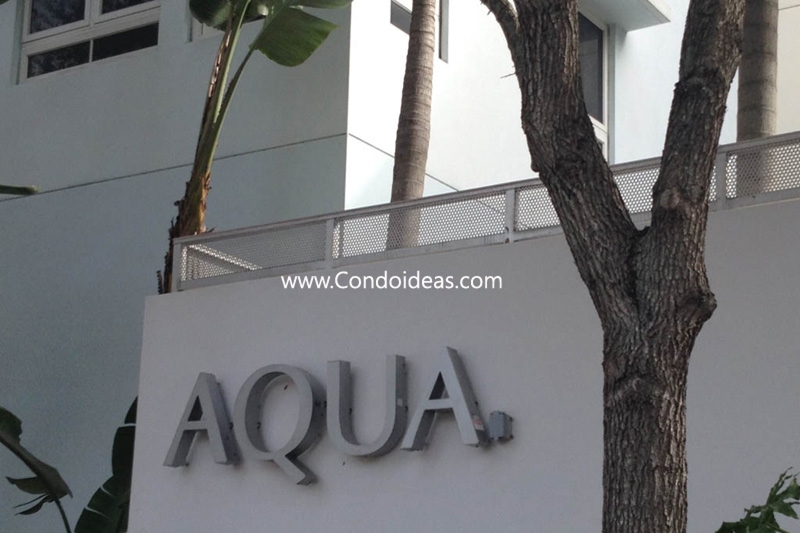 Privacy, seclusion, contemporary design and convenience of location make AQUA Allison Island a destination for the discriminating homeowner. In the same neighborhood but right on the sand, you should also check out the Bath Club condo. Drawn from traditional models of European and American urbanism, this AQUA Island Home recalls the early tropical Moderne style of Miami Beach. Classically proportioned elements line up with symmetry and minimum ornament. Like its modern predecessors, this AQUA Island Home has an open plan with rooms that flow into one another. Spaces are subdivided to provide elegant dwelling with strict geometry. A tower at the top level leads to a roof terrace offering vistas of the AQUA Allison Island and beyond. This elegant and restrained composition imparts a modulated rhythm to the facade. The higher floors are the provinces of the more gestural elements: a series of sheltering terraces to celebrate both night and day. This AQUA Island Home becomes a village within a village. This AQUA Island Home responds naturally to Miami's balmy climate. Graciously proportioned spaces connect living and dining, and an ample covered terrace creates a secluded outdoor space that welcomes cross breezes throughout the building. This AQUA Island Home architectural composition is a tribute to Le Corbusier, the master who redefined the idea of a home. This AQUA Island Home is organized around a series of open-air environments that function as living spaces. The atrium, the physical and symbolic center of the home, becomes an exterior living room on the main level. From there, one ascends through a sequence of terraces and balconies of varied scales, degrees of privacy and character. Crisp detailing combined with louvered windows and concrete eyebrows pay homage to the early streamlined buildings of Miami Beach. The primary features of this AQUA Island Home are the two-story living room volume and the expansive covered terrace with views to the water. A seamless connection to the outdoors is maximized with terraces on every level. The design of this AQUA Island Home pushes the limits of South Florida's local architectural language by employing a judicious interpretation of a modernist aesthetic. In response to the site, this AQUA Island Home is graced with expansive views and interiors that create a multi-layered experience of open and closed spaces. 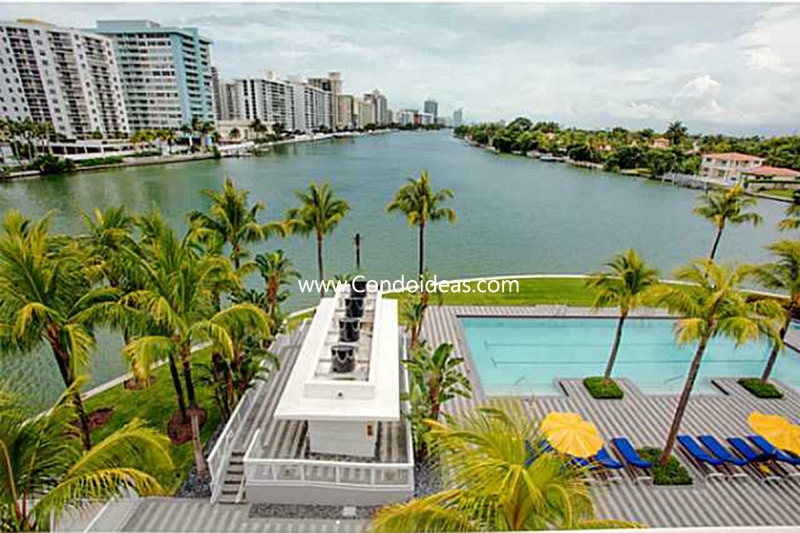 This AQUA Island Home derives its spatial and stylistic language from Miami's three traditions: Vernacular, Mediterranean and Modern. The movement of boats and vessels plying the waters around Allison Island was the inspiration for this AQUA Island Home. The main body of the house takes the form of a sculpture elegantly carved from a solid block. A curved metal roof arching in opposing directions allows the roofline to reflect sunlight, creating a dynamic gesture. This AQUA Island Home has been designed as a series of articulated volumes that contrast smooth stucco finishes with crisp trims and louvered shutters with large areas of glass. Punctuating the pleasing rhythm of sunlight and shadow, windows bring in light and frame sumptuous views. The roof terraces, with their piped railings, evoke historic transatlantic ships and the architecture of the early Modernist movement. Pets: 2 domesticated dogs or 2 cats or 1 of each; no pit bulls or other breeds considered dangerous.